My flight from K.L would’ve been my 10th to and from Malaysia in a month, and hopefully the last till Autumn. As seasoned a traveller as I am, I simply can’t handle the jet lag anymore! I may have been travelling since I was 3 and I got my first passport aged 12 but I’m no spring chicken - these long haul flights are starting to show, and I have the crinkled tubes of eye cream and the passport stamps to show for it. 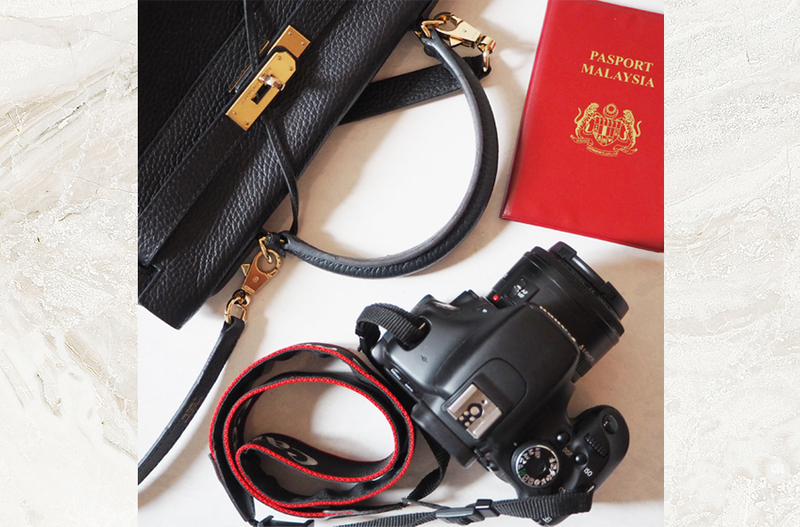 I thought I’d share with you my hand luggage essentials and what I take with me to Keep Calm And Carry On. Especially now that I’ve started to appreciate what a great privilege it is to travel and so have endeavoured to visit a new city each month. I’m so lucky that both the cities I call home - Kuala Lumpur and London - are wonderful bases from which to explore the delights of East Asia and Europe, and even more so that budget airlines like Air Asia and Easyjet have made it so affordable to fly to most places on a whim - even Russia from London, where I’ll be spending a sort-of birthday holiday with my family. These pocket-friendly fares come with a catch - I’m talking about check-in luggage fees. God forbid you forget to pay for it online and get slapped with a three-digit bill at the airport for checking in your modest 20kg suitcase! (I say modest because I usually fly business class with Malaysia Airlines on long haul flights, and together with my Frequent Flyer membership I get upgraded up to 70kg check-in luggage) Being a regular with budget airlines (where are my Posh & Broke Flyer benefits?!) means that I’ve become especially adept at travelling light and can even pack a long weekend’s worth of clothes, shoes, and technology into a cabin bag. But that is a post for another day. 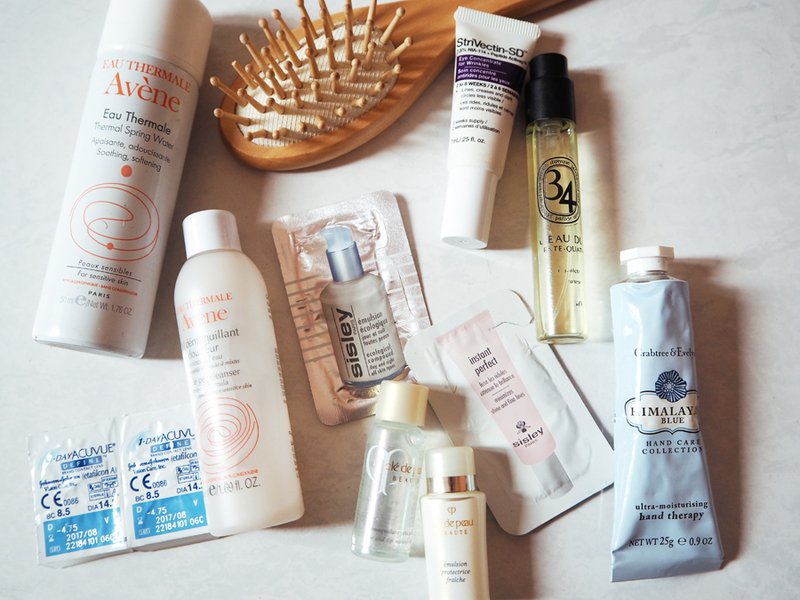 Today, I show you what hand luggage I take with me on long haul flights. Henry bought me this adorable retro mint green cabin bag from Suit Suit for Christmas and it’s been my constant travel companion. Even for flights where I don’t need cabin luggage I will find things to fill it with just so I have an excuse to wheel it around like a stylish Pucci-clad from head to toe flight attendant from the ‘60s (remember Braniff Airlines' Emilio Pucci uniforms?). I use my cabin bag for my tech (iPad, camera and lenses, Macbook), my book of choice for the flight, and my clear bag of travel-sized toiletries. It’s much easier to pack it in cabin bag so I can take it out together with my Macbook when I’m going through security. After I’ve won my rage against the X-ray machine I pop my toiletry bag back into my handbag. I absolutely must brush my teeth; cleanse, tone, and moisturise my face before settling in to sleep and also before landing because I need to look (and smell) fresh for whoever is picking me up from the airport - it’s just politeness. 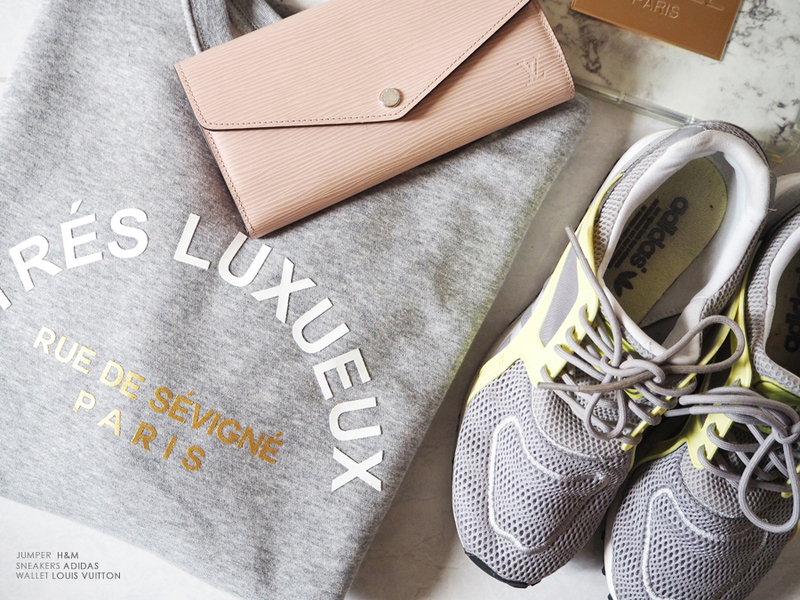 For comfort, nothing beats Uniqlo’s Heat Tech leggings under a shirt long enough to cover my ‘lady secrets’ with a thick, snuggly jumper over, and of course my ever-trusty Adidas trainers (the only training they’ve seen is me walking laps around Duty Free). I already have one hand full rolling my cabin bag around and with my iPhone (probably furiously checking all my social media before the internet embargo of a long haul flight) so it’s important that my handbag is hands free. For that, I just can’t beat a 30cm Kelly - the long strap keeps my bag comfortably at my hip which gives me easy access to travel my documents, lip balm, and other essentials. Apologies for the photo quality, I’m still trying to get the hang of my new Olympus Pen. The kit lens (14-42mm) is a b*tch to use so I think I will get the M.Zuiko 45mm 1.8 portrait lens instead - you all know how I love my prime lenses! I’m going to rent the 45mm and give it a spin to see how I feel before committing to yet another lens to my repertoire! 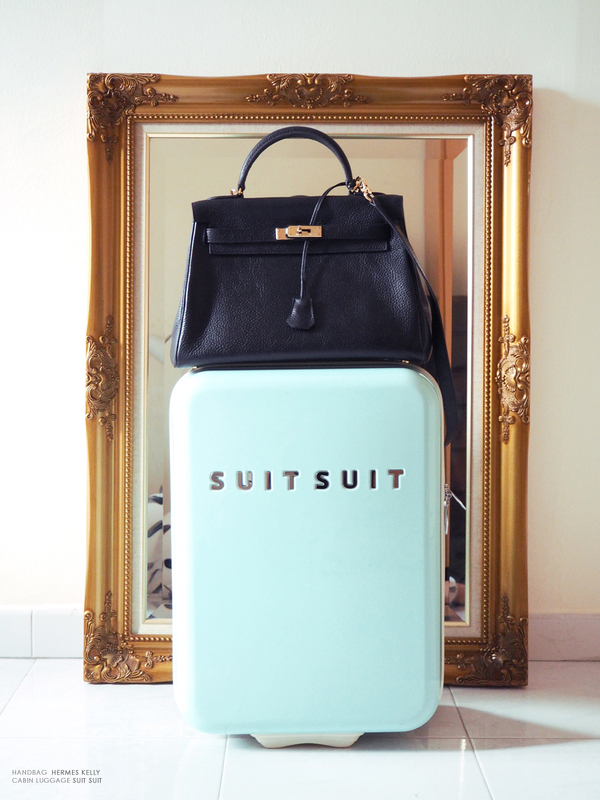 Love the colour of your suitcase, great post! 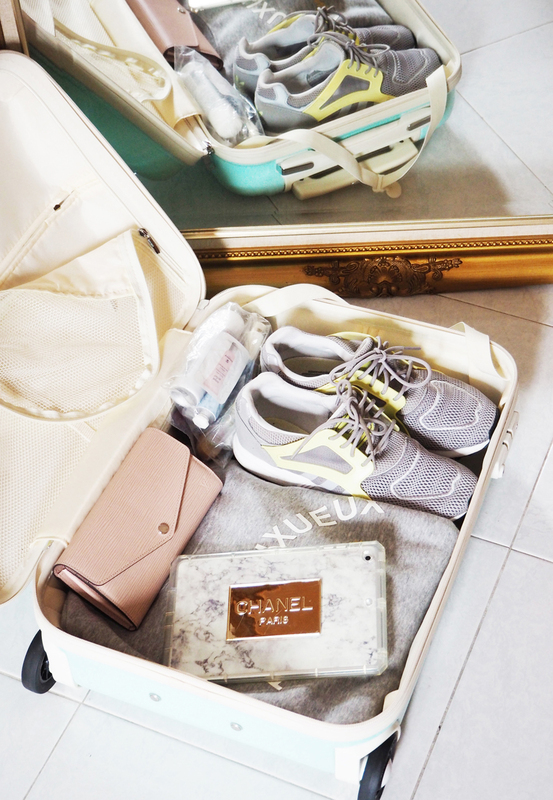 Cute suitcase... love the colour! 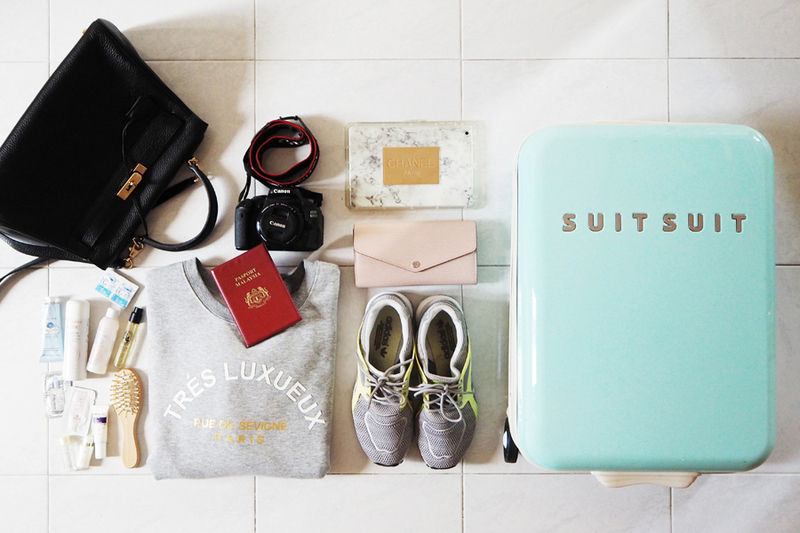 That suitcase is so fab.. on the wish-list! I've always loved the editorial style in all your photos. They always look so stylish. Definitely want to work harder at my blog. I'm getting a lot if blog-spiration from yours!